Meet the Future of Reporting .. Now! Reporting in SAP SuccessFactors has a long history and, like SuccessFactors itself, was originally an assortment collection of different tools or systems. And now, SAP Analytics Cloud is about to replace the major reporting tools in SAP SuccessFactors, including Online Report Designer, Ad-Hoc Reporting, YouCalc (Tiles and) Dashboards, and BIRT Templates. In this webinar, we would like to introduce SAP Analytics Cloud (or SAC) to you. And you will not be disappointed! SAC is easy to use, fast and brings a lot of new functionalities and options. We will also explore important concepts, cover SAC's three major areas: BI, Planning and Predictive, and how your organization can significantly improve your organization's reporting. 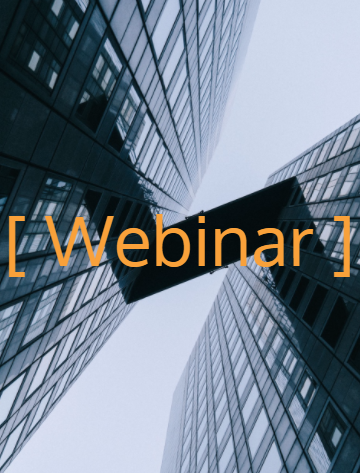 This webinar is presented by Dror Feldberg, Head of HR Cloud Sales at AKT, and Cristina Ricaurte, Head of Pre-Sales, EMEA South at SAP SuccessFactors.